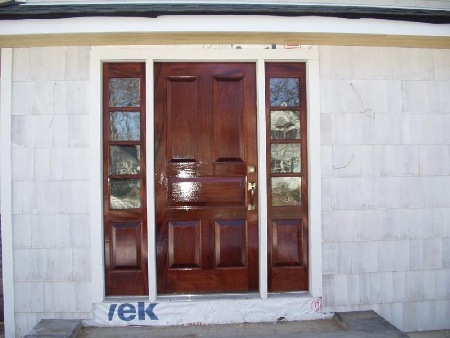 Custom mahogany entry door with sidelights. 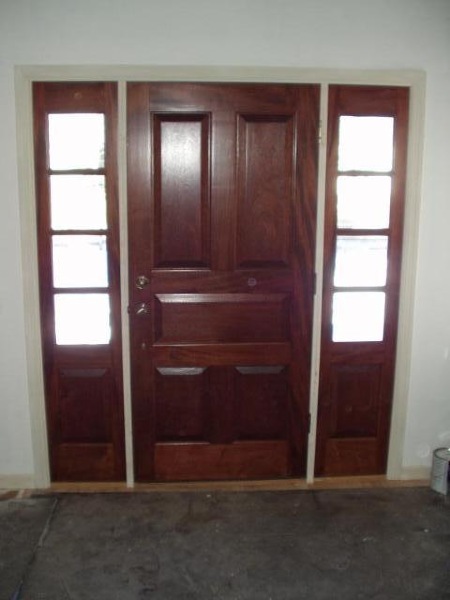 Interior view of custom entry door and sidelights. 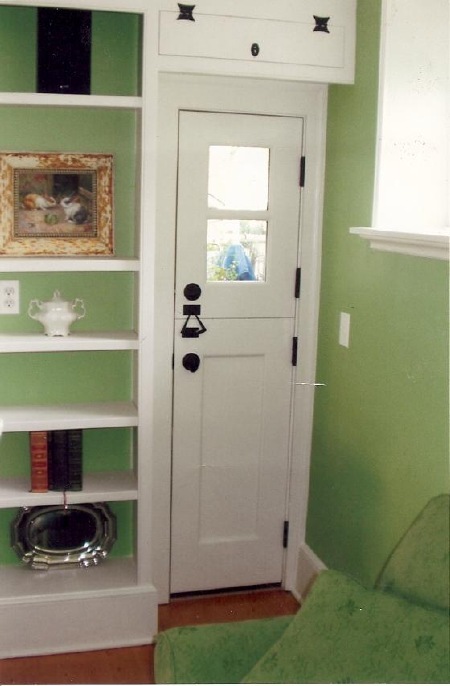 Custom dutch style door. Size 18" wide by 72" tall.